XSS attack prevention using .htaccess file and PHP. Cross Site Scripting of XSS attack is a type of Cyber attack in which hacker is able to include malicious JS or iframe codes into the webpages by expoiting the vulberabilities in the web page url. If successful, the hacker can manipulate or steal cookies, create requests which appear to come from a valid user, compromise confidential information, or execute malicious code on end user systems. Hacker can include JS or iframe codes as parameters of Query string variable. if the REQUEST variables are not validated and if it is printed on the page as such, then the page content will contain the malicious script embeded in that. The effect of XSS attack may range from a petty nuisance to a significant security risk, depending on the sensitivity of the data handled by the affected site. A solution for this is adding the following lines into the .htaccess file in the root. 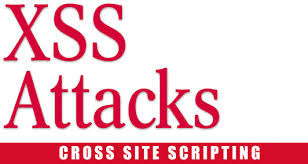 You may read XSS Attacks: Cross Site Scripting Exploits and Defense to have more details about various types of XSS attacks and solutions for handling it. You can also validate the $_GET parameters to check for any scope of XSS attack, Check $_GET parameter validation for XSS attack for a PHP code wise solution.